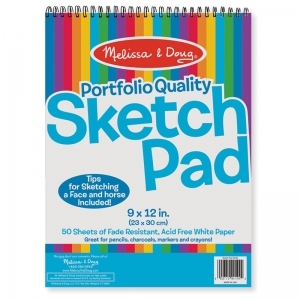 This generously sized drawing pad provides a clean sheet for every creative whim. An essential art supply, our premium white bond paper is ideal for pencils, crayons, markers, chalk, poster paints or watercolor artwork. Each pad includes 50 sheets and measures 9" x 12". 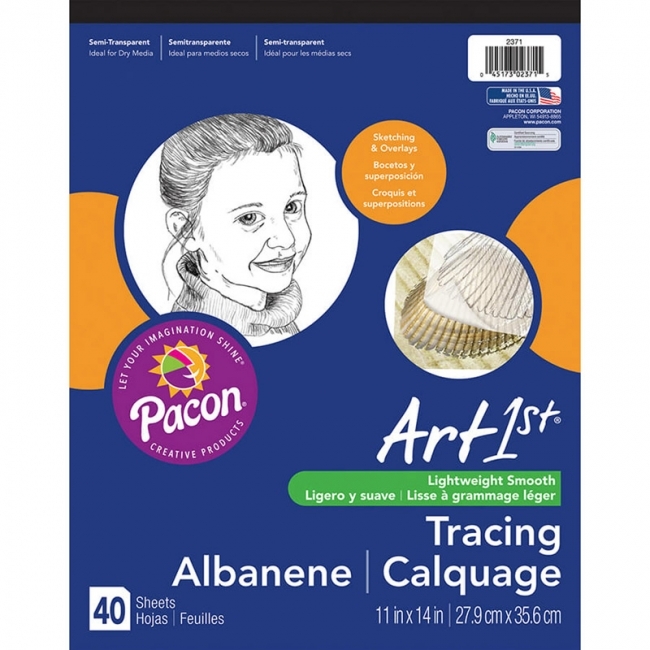 Tracing is a fun activity for children to learn at an early age. This standard grade transparent paper comes in a convenient pad. Each pad includes 40 sheets. Measures 9" x 12". 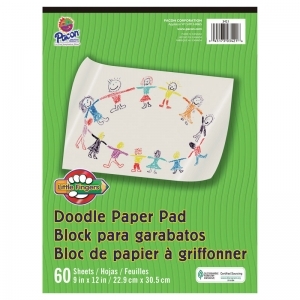 Versatile White newsprint paper is great for doodling or drawing with crayon, pen, pencil or colored pencil. Recyclable. Measures 9" x 12". Includes 80 sheets. 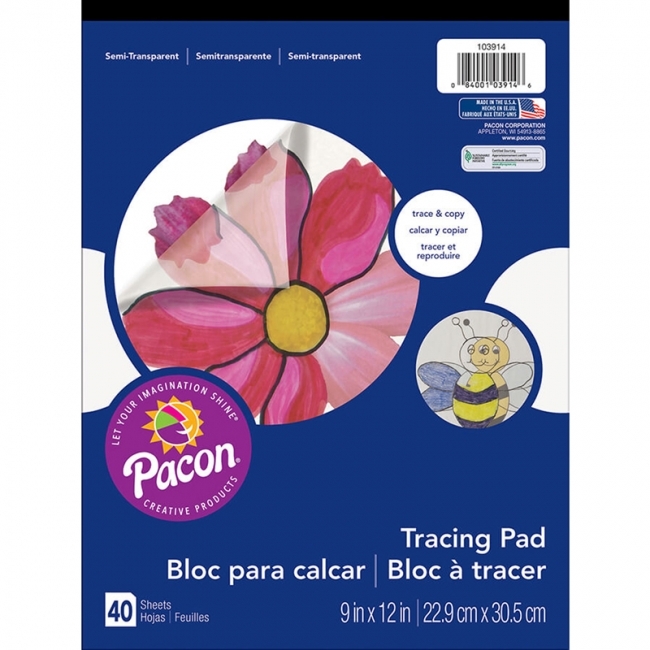 Lightweight transparent paper in pad format that can be used for sketches and overlays. 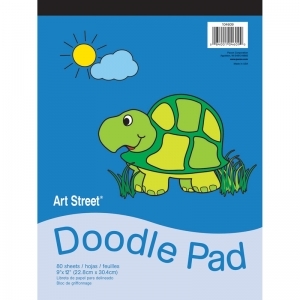 40 sheets per pad. Recyclable. Measures 9" x 12". A value line of juvenile art and activity papers. 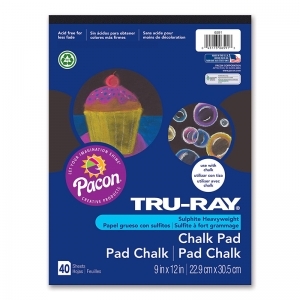 Attractive covers and good quality papers at an economical price. Recyclable. Measures 9" x 12". Includes 60 sheets. Lightweight Manila drawing paper perfect for beginning masterpieces! Use with dry media. Sheets measure 12" x 8". 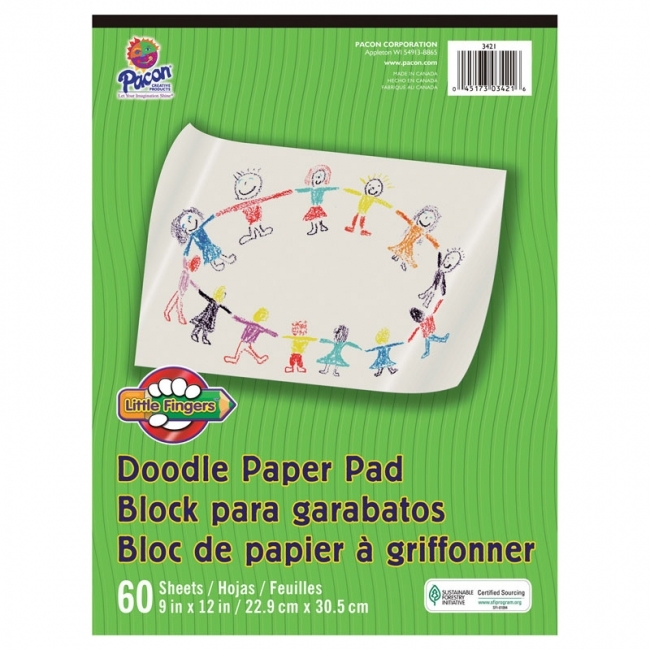 Pack includes 50 sheets. Recyclable. 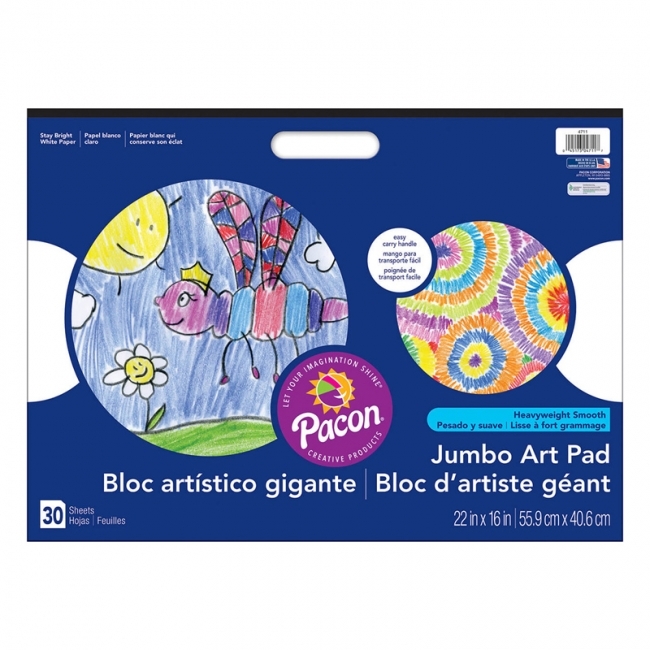 The giant size art and activity floor pad features a die-cut handle for portability. 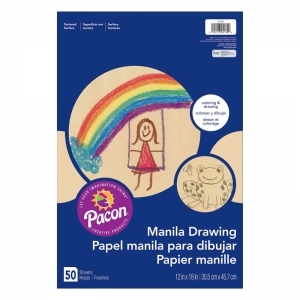 Thirty sheets of White paper are great for doodling, coloring and drawing. Recyclable. Measures 22" x 16". Includes 30 sheets. 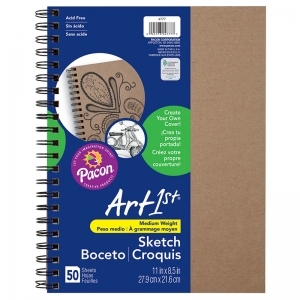 Natural chipboard covers and backs make these versatile sketch diaries fun to decorate and personalize with metallic pens, markers and gel pens. Lightweight White drawing paper inside is perfect for teens, students and young adults. Acid-free. Recyclable. Measures 9" x 6". Includes 50 sheets. Natural chipboard covers and backs make these versatile sketch diaries fun to decorate and personalize with metallic pens, markers and gel pens. 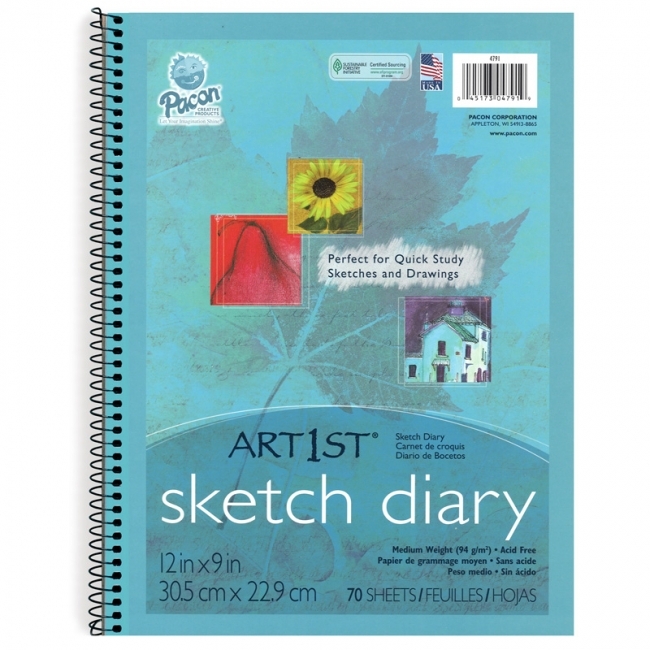 Lightweight White drawing paper inside is perfect for teens, students and young adults. Acid-free. Recyclable. Measures 11" x 8.5". Includes 50 sheets. Black chipboard covers and backs make these versatile sketch diaries fun to decorate and personalize with metallic pens, markers and gel pens. 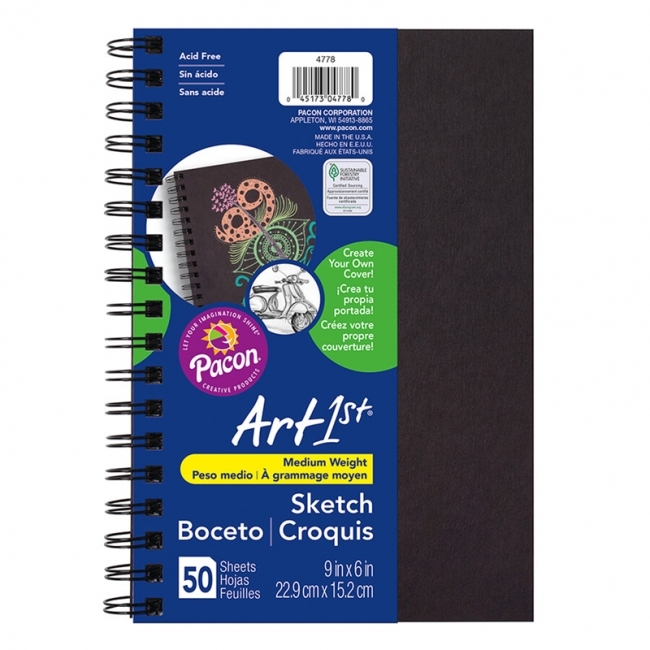 Lightweight White drawing paper inside is perfect for teens, students and young adults. Acid-free. Recyclable. Measures 9" x 6". Includes 50 sheets. 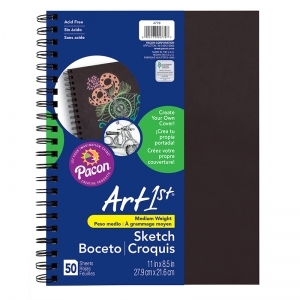 Black chipboard covers and backs make these versatile sketch diaries fun to decorate and personalize with metallic pens, markers and gel pens. 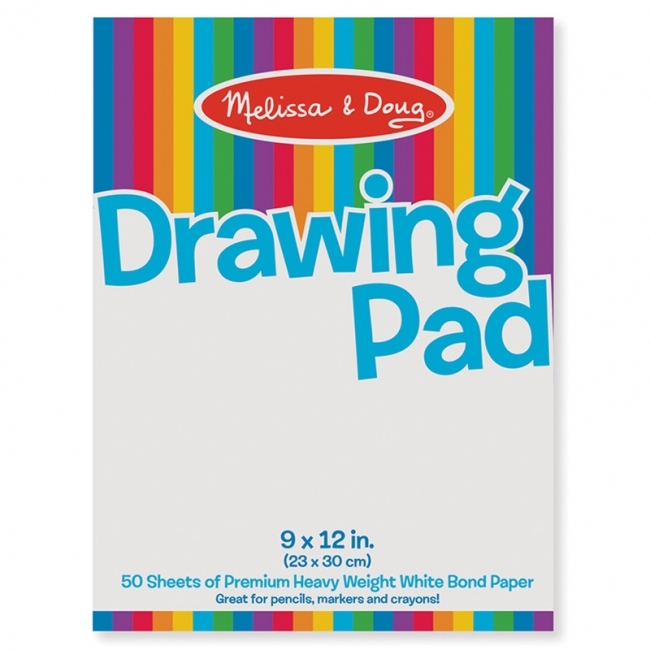 Lightweight White drawing paper inside is perfect for teens, students and young adults. Acid-free. Recyclable. Measures 11" x 8.5". Includes 50 sheets. 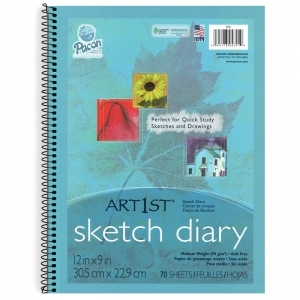 All-purpose lightweight White sulphite drawing paper spiral bound on the side. 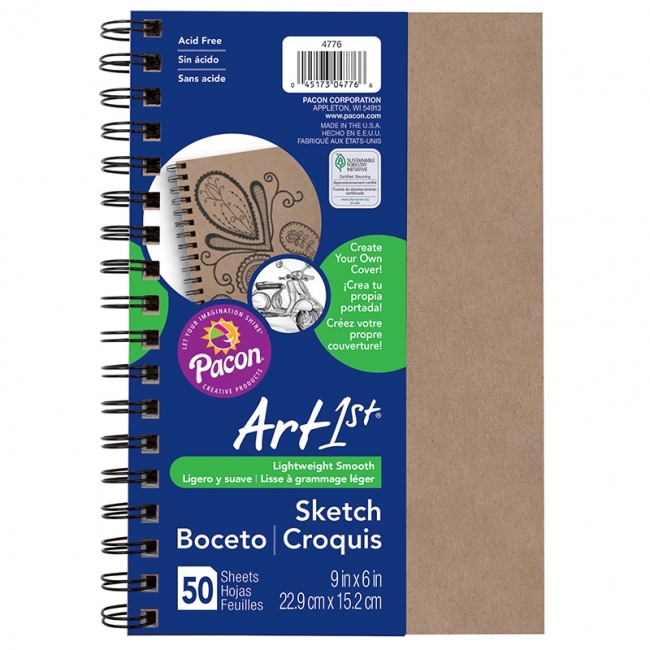 Perfect for quick study sketches and drawings. Ideal for all dry media. Acid-free and Recyclable. Measures 12" x 9". Includes 70 sheets. Premium Sulphite Heavyweight Jet Black Construction Paper accepts and provides great contrast with both white and colored chalk and chalk markers. Colors POP on this black paper! Acid free for less fade. Convenient pad has a retail-friendly cover. Recycled and recyclable. Measures 9" x 12". Includes 40 sheets. 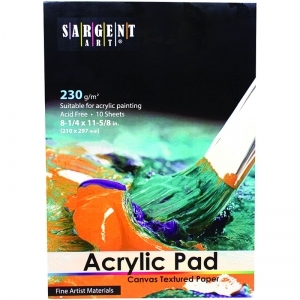 Brand : SARGENT ART INC. 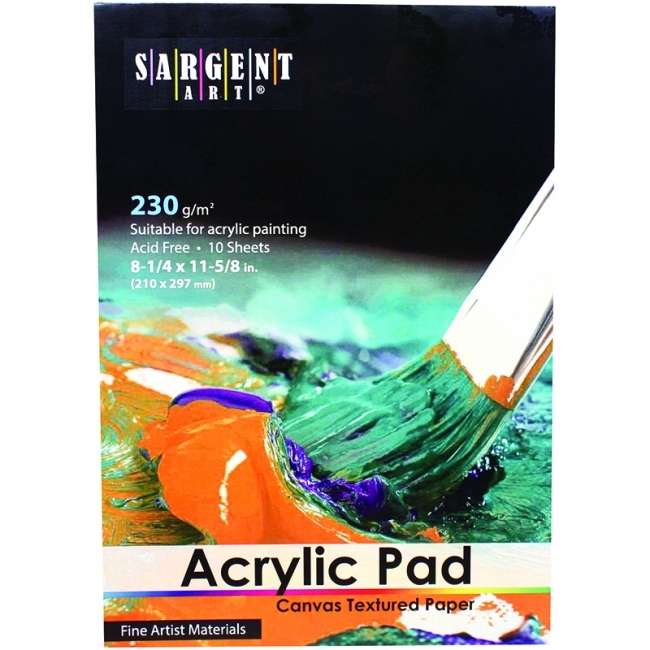 The Acrylic Pad features canvas textured paper suitable for acrylic painting. Measures 8.25" x 11.625". Acid-free. 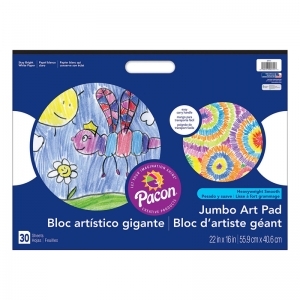 Each individual pad contains 10 sheets.